“I’m a huge music lover. Whenever i’m feeling some type of way, I’m heading to Soundcloud. Sometimes I go listen to Nipsey sometimes, I’m on my Kirk Franklin. 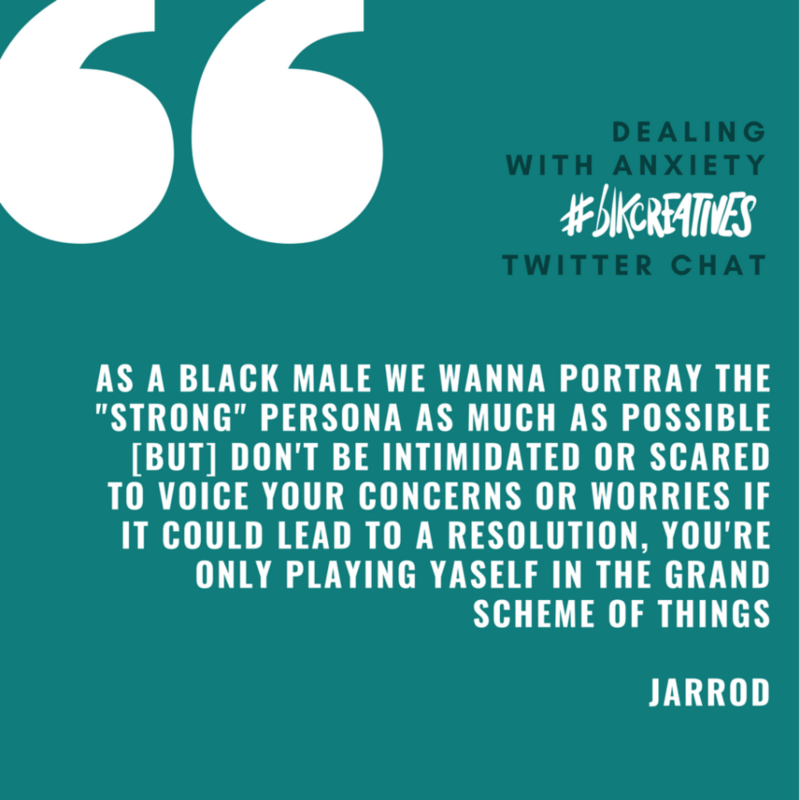 Just go with whoever can relate more with how I’m feeling at the moment.” As a full time freelance photographer from Florida who’s relocated to New York City, Jarrod Anderson knows how stressful transition can be and how important it is to be aware of your anxiety. 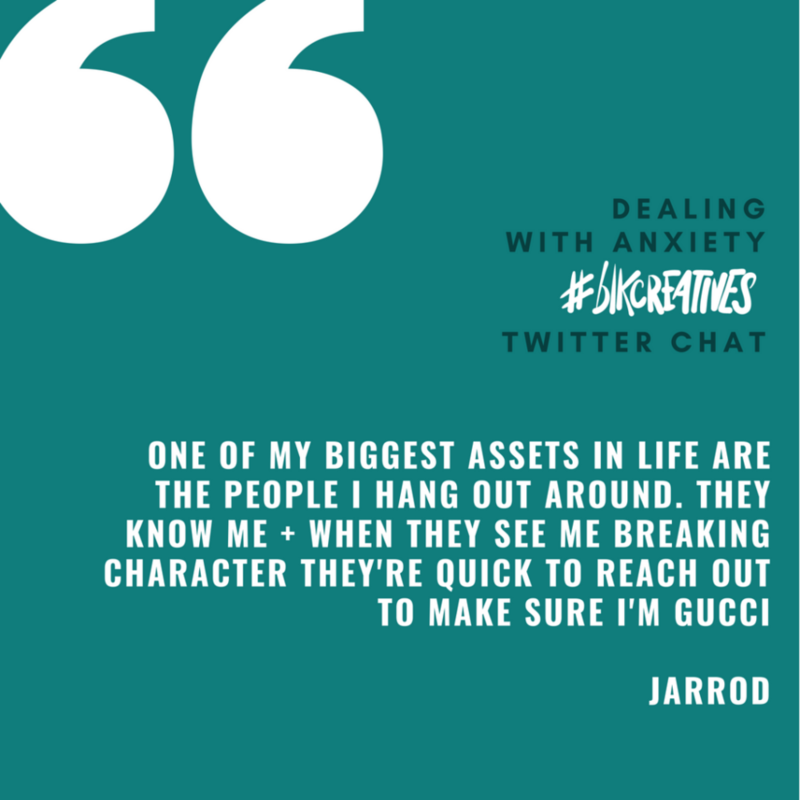 His involvement in the ‘Dealing With Anxiety’ #blkcreatives Twitter chat was a no-brainer. Read on to find out why. How do you know when anxiety has gotten out of control and why is that awareness so important? 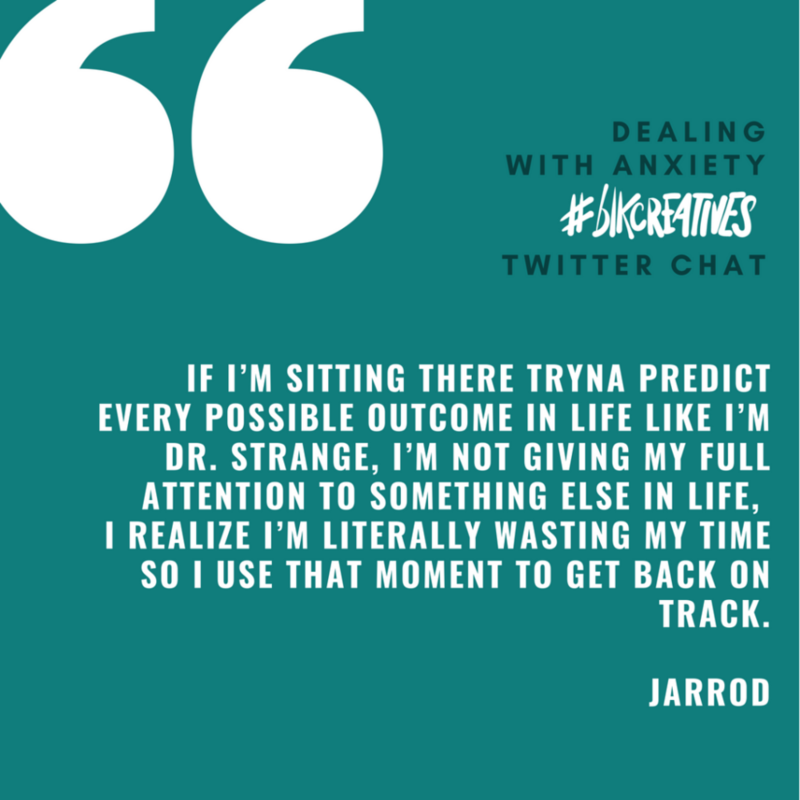 for me, i can tell anxiety has gotten the best of me when it’s the only thing on my mind when i catch myself thinking about a bunch of “what if” scenarios with factors i have no control over, i have to take a moment + snap myself back to order. if i’m sitting there tryna predict every possible outcome in life like i’m dr. strange, i’m not giving my full attention to something else in life, often times something i have more control over. i realize i’m literally wasting my time so i use that moment to get back on track. Want to be updated on the next Twitter chat and get reminders? Subscribe to our newsletter below.